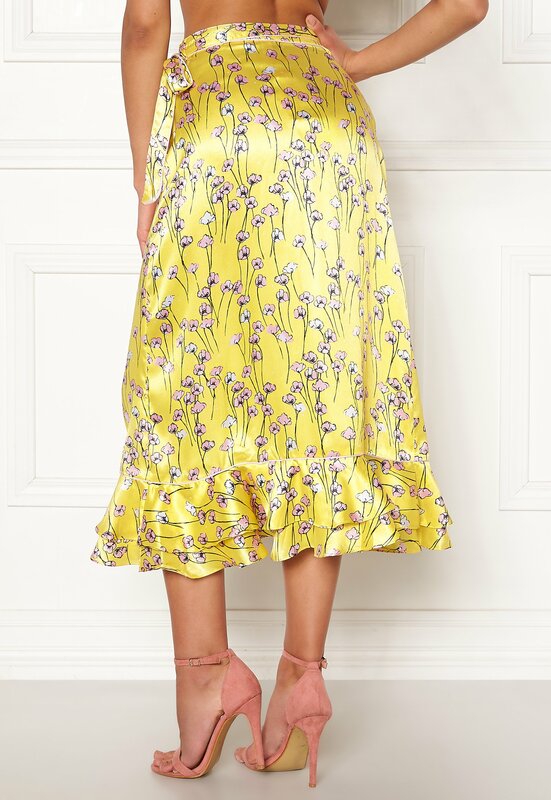 Lovely skirt with a floral pattern from BECKSÖNDERGAARD. The skirt has lovely flounce details and is perfect for both everyday wear and festive occasions. - Nonstretch, woven quality - Tie waist (non-detachable) - Wrap style - Flounce details - Relaxed fit Center back length 84 cm in size One Size. The model is 175 cm tall and wears a One Size. Machine wash at 30 degrees.